"What is tilling in agriculture?" This is a common question that novice farmers tend to ask. This short post will help you distinguish between the two. Specifically, tilling machines run their blades through the soil. On the other hand, plowing flips the soil on top of one another. While different, both are needed to cultivate your garden properly. It doesn't matter if you have a large or a small garden, these techniques are essential to the development of your garden. Once you know the difference, you'll be able to farm more effectively. Continue reading to become a better farmer and keep your plants in near perfect condition. Soil tilling is the preparation of soil via mechanical agitation (stirring, digging, overturning). Some examples of manual, human powered tilling methods are picking, shoveling, hoeing, and raking. Soil tilling helps gardeners keep their soil healthy and ready for the next growing season. Your soil is the lifeblood for everything that you plan on planting this year. Before you start digging, there are a few things you'll need to know. The main purpose of tilling is to control the weeds in your garden, mix organic matter with your soil, and loosen up areas for planting. You don't have to break up the soil or till very deep. As a rule of thumb, you should till the soil at a length of 12 inches or lower. But be warned, tilling too often will cause more harm than good to the soil. Methods such as rototilling are not recommended during the early season. It will cause for the soil to become too stiff and unable to hold moisture. Any form of tilling when the soil is too wet will also destroy the soil structure. The soil will dry out fast and will become clogged. That's why you want your soil to have a perfect balance before tilling it. So how do you know when it's the right time to till your soil? Take a handful of the soil and squeeze it into a small ball. Next, press your finger against the ball. If the ball breaks, then you can till the soil. Even if there's clay in the soil, this test is the best method to test if it's ready for tilling. What equipment is needed to till your garden? If you have a small-sized or medium garden, a spading fork or a shovel will get the job done. 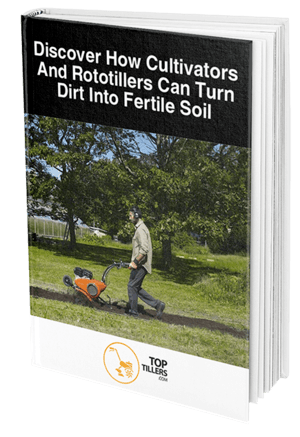 But, if you want to use a rototiller, only use it when the soil is ready and only dig at a reasonable length. Soil Plowing is defined as digging deep into the soil and turning it over. Plowing your soil is another important aspect in improving the cultivation of your garden. But did you ever wonder why farmers plow their fields before planting? Usually, seeds are planted an inch under the soil surface. Farmers want those seeds to have a high chance of growing and germinating. This means preparing the seed beds mechanically by breaking through the ground. Soil can become compact and dense. Also, plowing makes the planting process easier. 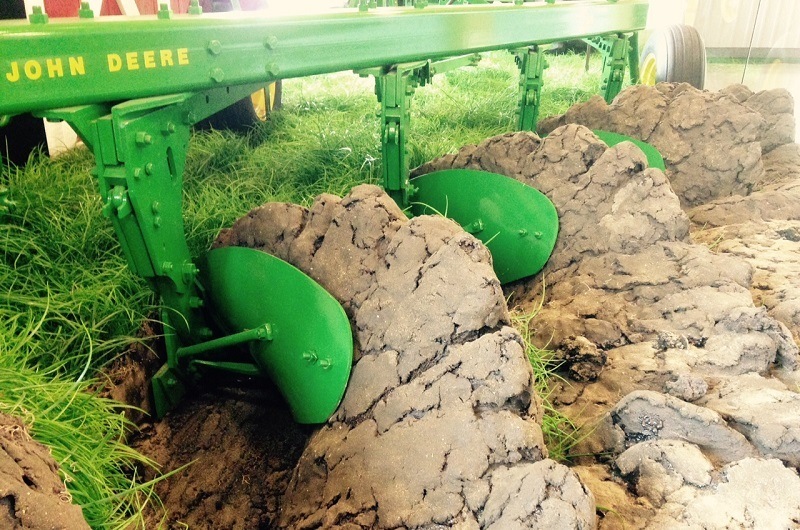 With plowing, you break up the soil's blocky structure. As a result, plowing helps aid in the root growth and drainage of your soil. Remember, black soil increases the soil temperature faster than one that has plant matter on it. This is because plant matter delays how fast the soil heats up to 50°F. 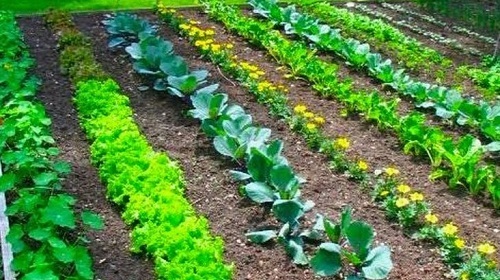 Thus, you should use black soil to help your garden get ready for plowing. Additionally, plowing fields turns organic matter to soil. Farmers plow their fields to add nutrients to the soil and increase decomposition. Many farmers use manure from swine and cattle and spread it onto the field. Manure consists of nitrogen, which is needed for your plants to grow. Turning your soil over doesn't just mix the organic matter, but also increases oxygen in the soil. This technique speeds up the decomposition of the organic matter and gives more oxygen to your plant roots. Planting your seeds is always dependent on the weather. Wait until the temperature of the soil is 50°F or higher. This ensures that your seeds will germinate without being affected by constant weather changes. 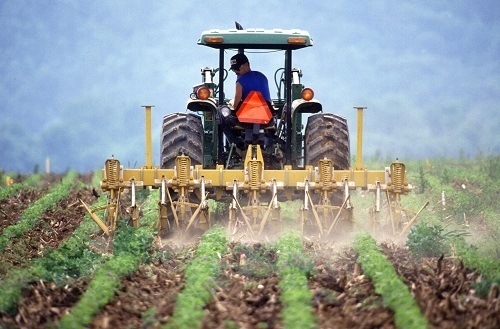 Farmers tend to plant as soon as possible to help their crops produce faster and maximize short growing seasons. The first main difference between the two is their intended purpose. For instance, tilling is used to prepare and cultivate your crops. A till drags some soil particles into contact with other soil particles. Tilling rakes over the soil to even out the area. Use tilling when you need to improve the quality of your soil and help your plants germinate and grow efficiently. 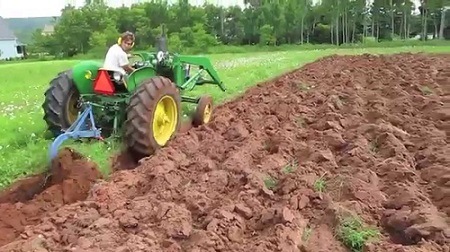 Plowing is used to break up the soil, control weeds, and bury crop residues. It does this by using a plowshare. The plowshare flips the top soil over and leaves an extra layer of the soil upside down. T﻿﻿illin﻿﻿g is supposed to be used during the spring season. This is because there's less frost on the ground and gives your plants an ample amount of time to grow. You'll want to till your crops during early season to ensure that your plants germinate and maximize their potential. Plowing needs to be done during the fall. Fall plowing is beneficial if you need to add amendments that will take time to have an effect. Plowing allows the plant roots to penetrate through the soil. Despite their differences, you're going to have to use both methods. As a rule of thumb, till during the spring and plow during the fall. This ensures that your soil is easier to maintain and will prevent your plants from drying up and losing its nutrients. Ultimately, these techniques will ensure that your plants survive in the long run and germinate at an optimal pace. Do you have any tips on cultivating your garden?